• 1,300 new jobs created with further development of lightweight vehicle technologies. • Breakthrough Jaguar performance crossover to be built at world-leading Solihull plant. • UK's leading manufacturing investor set to extend expertise in aluminium as second Jaguar model comes to 'factory within a factory'. Pretoria, 14 January 2015 - Jaguar Land Rover has announced plans to create 1,300 new jobs as it continues to accelerate its industry-leading expertise in aluminium and lightweight technologies. The news comes following confirmation that the UK's largest manufacturing investor will add a further new Jaguar model to its product portfolio – the Jaguar F-PACE. This performance crossover, set to go on sale in 2016, follows the Jaguar XE into the new facilities within the world-renowned Solihull plant. This latest announcement from the Detroit auto show will see Jaguar Land Rover's Solihull manufacturing plant continue to develop its world-class capability in aluminium vehicle construction for which the company is synonymous. It also marks the start of an incredible year for the British manufacturer who will deliver 12 significant product actions in the next 12 months alone. Jaguar Land Rover CEO Dr. Ralf Speth said: "Today's announcements once again demonstrate our commitment to the UK and the advancement of a high-tech, high skilled, manufacturing-led economy. 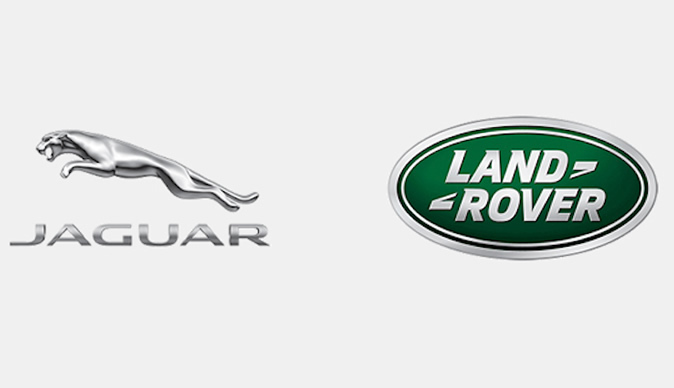 "Jaguar Land Rover is committed to delivering more great products. It is that innovation and relentless quest for new technologies that sets our products apart. We want to offer customers greater choice, with even more exciting vehicles, crafted with that special British flair. We want to improve the quality of life for our customers and for our own employees, creating opportunities for more people to be part of the Jaguar Land Rover experience." To support the introduction of its new aluminium and lightweight technologies Jaguar Land Rover has already invested £1.5bn. The new facilities represent the largest single investment in the Solihull plant in its 70 year history and created an impressive 'factory within a factory'. Incorporating Europe's largest aluminum body shop and final assembly hall - collectively the size of 22 football pitches, the new state-of-the-art facilities bring the Jaguar brand to Solihull for the first time, and continues to showcase the company's pioneering leadership in aluminum vehicle construction which dates back to 2003 with the introduction of the seventh generation Jaguar XJ. As a result of the continued developments at Solihull, Jaguar Land Rover is creating an additional 1,300 new jobs at the site. Applications for the new roles are now being accepted and following its commitment to enhancing employment opportunities for former service personnel in the wake of the Invictus Games, Jaguar Land Rover is welcoming applications from military personnel who are leaving or have left the services. The expansion of the Solihull site is the outward expression of the continued drive to reinvigorate every aspect of the company. Today, the plant builds world-renowned vehicles such as the Range Rover, Range Rover Sport, Land Rover Discovery and is home to the iconic Defender. Most recently, the site has welcomed the first Jaguar in its history, with the introduction of the new Jaguar XE, which begins production in the Spring. Jaguar Land Rover continues on its path of measured and sustainable growth with record full year retail sales in 2014 of 462,678, double that of 2008. A 2014/15 fiscal year investment of £3.75bn in product creation has seen the introduction of a host of new and exciting products and business expansion. The company's headcount has increased to 32,000, 10,000 more than were employed just four years ago.